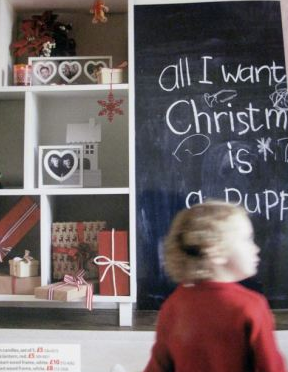 Tesco in Trouble for Christmas Ad Campaign – Love PR? I was always told, growing up, that a dog is for life and not just for Christmas. In fact, when my parents did finally relent and let us get a dog, my brothers and I were told we had to ‘draw up a contract’ of our responsibilities towards the dog and sign it. I was 13 and my brothers were 11, 9 and 7. My parents then set the last Saturday in Sept 2001 as THE day. We travelled to PAWS, in Sallins, Kildare at the time, to adopt a dog as my dad said it was better to give a life a home than to get a puppy from a breeder. Even at such young ages, we managed to grasp this. That day we adopted Faith, an absolutely amazing dog, we had the pleasure of, in our lives and as part of our family for 10 years. We also got to experience the hard work and the many dogs that were being looked after in the rescue. This experience is probably why having seen Tesco’s latest catalogue, I am annoyed. Tesco is a huge Multi National with a CSR strategy. 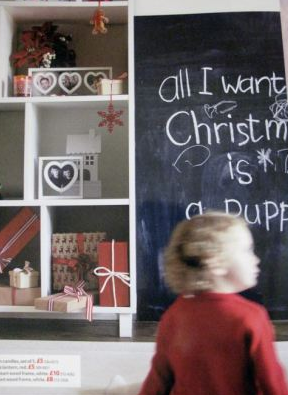 Why on earth would this brand use the slogan ‘All I want for Christmas is a puppy’. The image appears on page 36 of the new Tesco Gift Guide which is available now in stores. The supermarket’s Facebook page has been bombarded with complaints from hundreds of appalled shoppers – with many saying they have have abandoned the store over the ad. I understand Tesco probably did not realise the implication of their ad campaign but in saying that perhaps they need to be more aware of their responsibility towards animals. If they wanted to use an animal, why not a unicorn? – a mythical and unobtainable animal which cannot be bought for Christmas and possibly abandoned afterwards. Marketing and Advertising departments need to be as aware as Public Relations departments of the messages they are sending out on behalf of brands. When constructing campaigns, brands need to consider how they could possibly affect the brand in a negative light as this has done.